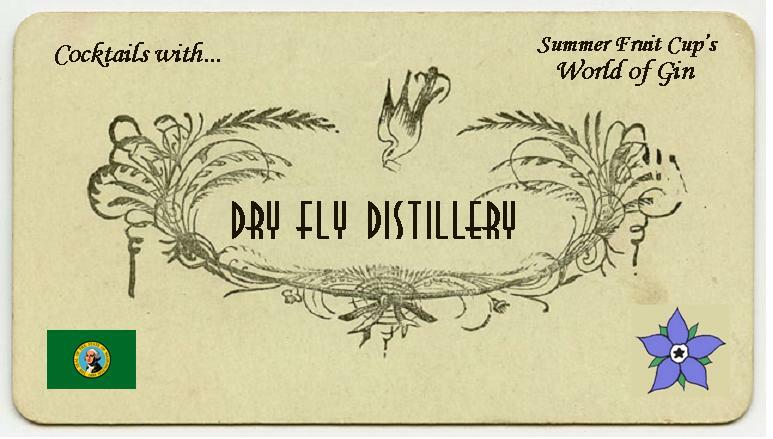 A little while ago I came across the Dry Fly Distillery, based in Washington State, USA. After a pleasant phone call with one of the founders, Kent, I found myself in possession of a lovely care package of their products. 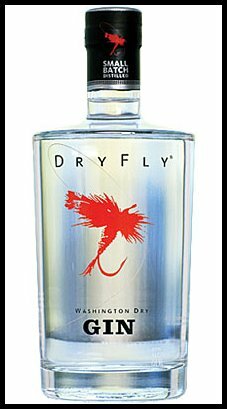 Dry Fly Distillery was founded just over four years ago by fishing buddies Don Poffenroth and Kent Fleischmann; hence the name “Dry Fly”, after the fishing technique. Given the focus of our site, it was their gin that captured the majority of my attention. For further background why not check out this video. The inclusion of the likes of apple and mint were an endeavour to use natural resources found close to the distillery. This is something that is becoming increasing popular in the American Gin market; another good example is Death’s Door. Nose: Creamy and floral with a hint of spice. There was also a certain jammy quality and a hint of juniper. Taste: Incredibly, absolutely smooth, with no burn at all. The only way that I could tell that it was alcoholic was by a slight tingle on my lips at the end. This was quite floral (violet and lavender), with some sweet creamy citrus (maybe mandarin or lime). The juniper is there, but it definitely takes a back seat. Overall, I thought it was rather sippable. Upon a second inspection, I also noticed a slight saké-like quality to the gin, which was quite pleasant. A viscous texture, alongside a nose of ginger, flowers and juniper. Very tasty, this was full of flavour, being slightly brandy-like with additional hints of juniper and vanilla. This drink had strong notes of mandarin and citrus on the nose. Alongside the citrus and floral notes, there was a herbal note akin to dry vermouth. The drink is also quite dry and has a crisp quality, which made it both thirst-quenching and refreshing. I would suggest having no garnish and using Schweppes or Fevertree; I think that Fentiman’s citrus profile would overpower the drink. This was very clean, with quite light flavours and some juniper. It had different characteristics to most Martinis, but was very good nonetheless: it was silky and slightly floral, with a long finish. This Pink Gin was quite floral and herbal, but there seemed to be a slight clash between the gin and bitters. Of those that I tried, this wasn’t the best way to enjoy the gin. Like the Pink Gin, the Negroni was floral and herbal, with some additional hints of citrus. There was a good balance between bitterness and sweetness. As a whole, the cocktail was complex, rich and quite tasty. Top notch. Fruit Cup: Quite dry, but with an additional buttery richness, this was relatively light whilst still having some strong juniper notes. With as some citrus fruit, we thought this was delightfully refreshing. taste: initially smooth then some warmth. Flavours of vanilla icecream followed by hints of coffee and dark chocolate.Frozen:grainy, vanilla icecream nose. Thicker than at room temperature but not that viscous. The light grain and vanilla note persist and there is also a hint of coffee followed by a very clean finish.Vodka Martini: rather lovely. Very clean, more flavour than a normal Martini but the flavour is a soft and subtle creamy vanilla. Despite this slightly confectionery taste it is not at all sickly. Overall very nice and rather unusual. This section is written by in-house whisk(e)y enthusiast Mrs. B. Dry Fly make two types of whiskey: Bourbon (aged for 3 and a half years) and a Wheat Whisky (aged for 2 years); both are aged in New American Oak Casks. This had a very sweet nose, reminding me of caramel, with a touch of vanilla and slight hints of a rawer alcohol at the end. To taste, it had a strong start that continued the caramel notes from the nose, whilst also being dry and woody in texture. DBS found it to be incredibly dry and was reminded of bread – wheat and oats. The finish was of honeycomb, with a distinct sweetness at the back of the throat. After the addition of a touch of water, the nose opened up to reveal an oat-y, cake-y scent underneath the caramel. The taste was warmer and clearer, but followed the same profile as noted above. DBS also detected some fruity, jammy notes after water had been added; red berries in particular. The wheat whiskey had a very straightforward, dry nose of wheat and wood; there was no real sweetness or fruitiness to it. To taste, though, it was surprisingly complex. Again, it was very dry, although I found it to be slightly viscous on the tongue. This unusual combination is unlike anything I’ve tasted before. The main flavours were of wheat and other savoury cereals, freshly varnished wood, and maybe a hint of pine. The finish was spicy, with a heated, peppery sensation. We found that this whiskey didn’t improve with water: it simply diluted it, making the flavours more disjointed. I felt it could be used very well in cocktails, however. This entry was posted in Vintage Cocktails and tagged American Gin, Dry Fly, Gin, Lavender Mint Apple, New Western Gin, USA Gin, Vodka, Washington State, whiskey by DTS. Bookmark the permalink.